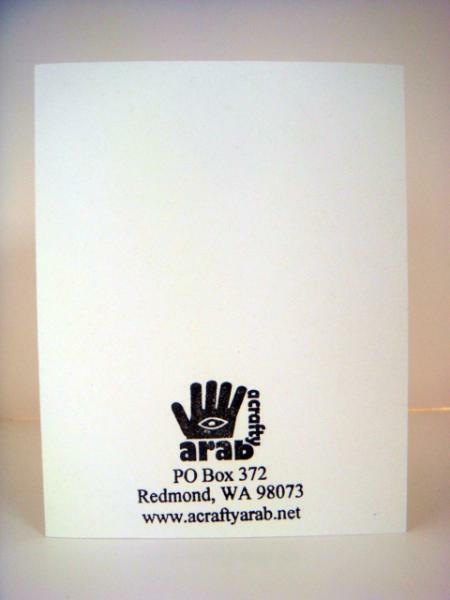 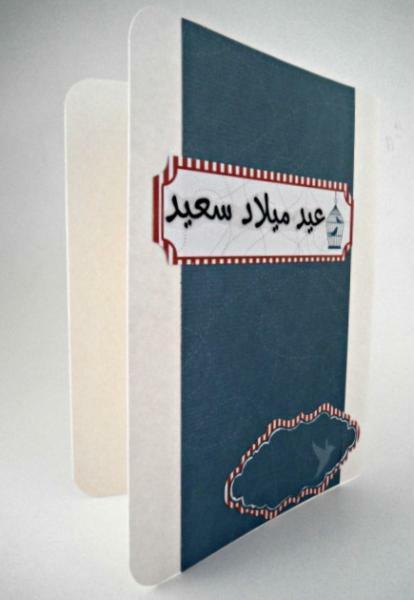 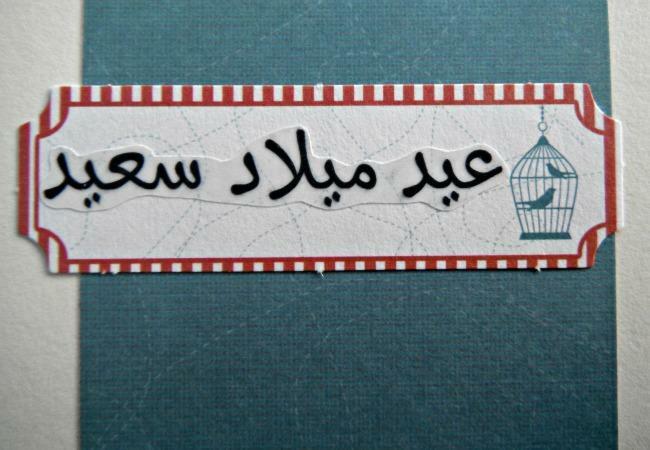 This Arabic birthday handmade card has two caged birds on a tag with the words "Eid Milad Sa'id" written next to them. 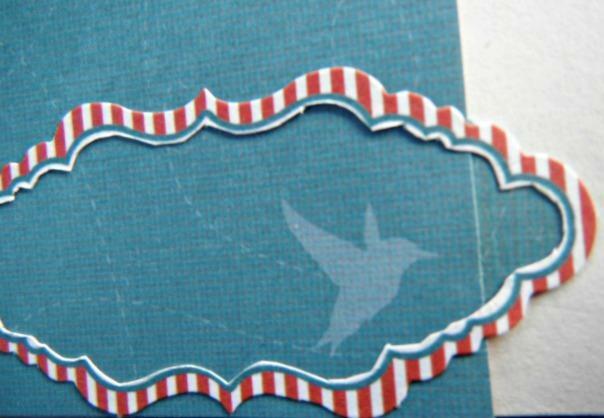 But before you feel sad for them, look down below, as a fellow bird has found a slit in the card to escape. 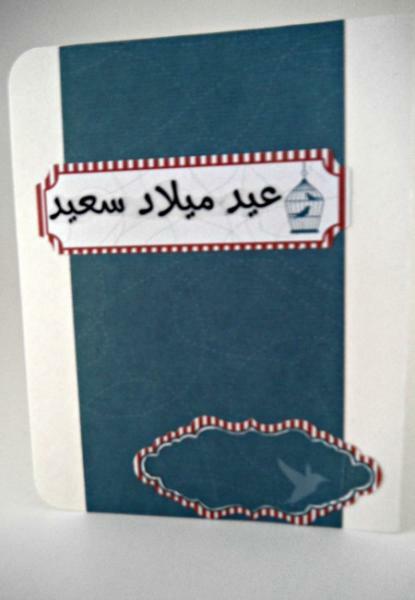 Before they follow suit, give this card to your dear friend for their birthday and make them smile at the silliness of it all.